In recent years, the interest in Culinary Arts has skyrocketed to an all-time high. With the plethora of cooking shows to watch and stream, the world has realized that this art from is a specialty, exciting to watch, and is one that’s not necessarily easy to master. I've always paid close attention the spices of choice of the expert chefs. For an explanation of some of the most popular spices, go to page 36. What’s also fascinating to watch is our culture’s obsession with photographing food. We explore possible reasons for this artdiction on page 34. The study of Culinary Arts can also lead to a wide range of careers to enter. We explore some career choices that you may not have thought of. See page 16 for new ideas. Finally, in a creative, thought-provoking way, painter Lee Price (page 18) presents a series of self-portraits that reflects her relationship with food. It’s relatable. It’s vulnerable. 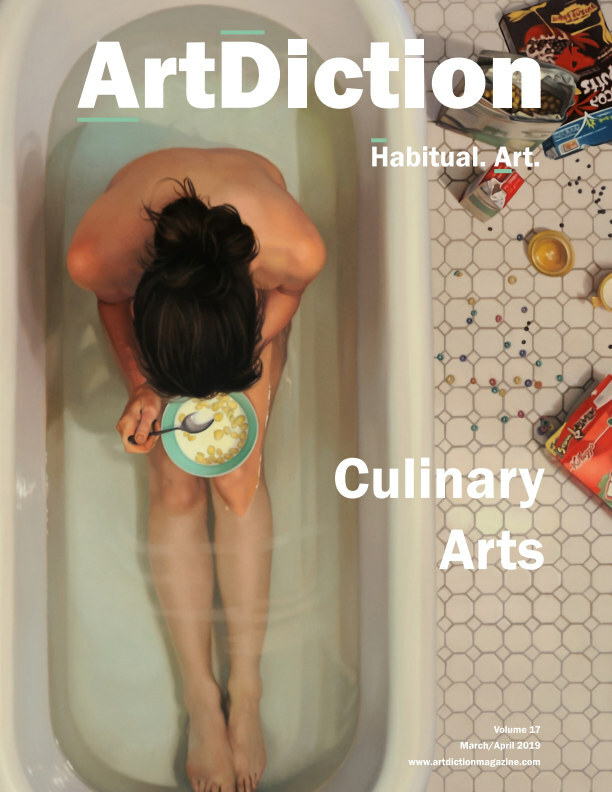 ArtDiction is a culture and art magazine that serves as platform for artists and a resource for the habitual art lover. A magazine that sets the standard for quality content in the industry, ArtDiction features photography, fashion, music, art exhibits, and more. ArtDiction has an international audience with readers who are thirsty for art and culture. Published 6 times per year, ArtDiction promotes contemporary art and examines how it fits into a social and cultural context.